Admission: Tickets range from $5 to $25 day of game. 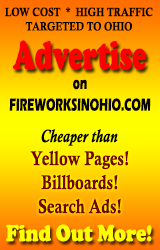 Fireworks packages available. Event Parking: Free and metered parking around Akron depending on what time of day it is. Baseball game held August 23, 2019. Pink Floyd Themed Fireworks display after the game, weather permitting. Celebrating the 40th Anniversary of The Wall!